The USA forced 20 turnovers and scored 14 points off those miscues and also owned the edge in the paint, scoring more than half of its final total, 44 points, from inside. With the medal ceremony looming, the USA led Canada 48-45 after 30 minutes at Yeomju Gymnasium. The game had featured four ties and four lead changes up to that point, but when the fourth period began, the United States turned up the heat. The squad started the period on a 7-0 run over the initial 1:46 to push its lead to 10 points. Over the first five minutes of the final stanza, the United States outscored Canada, 18-6. The game was not always so lopsided, however. Mercedes Russell (Tennessee/Springfield, Ore.) opened the game’s scoring by putting back an offensive rebound, but Canada scored six unanswered to grab the lead for the first time. USA co-captain Erica McCall (Stanford/Bakersfield, Calif.) did a bulk of the heavy lifting in the first quarter, scoring six of her nine points in the first 7:30. The United States shot only 30.0 percent in the first quarter, but forcing four Canadian turnovers helped the red, white and blue take a 13-11 lead after one period of play. The USA appeared to gain some control through the second quarter. Chanise Jenkins (DePaul/Chicago, Ill.), Sydney Wiese (Oregon State/Phoenix, Ariz.) and Aerial Powers (Michigan State/Detroit, Mich.) all buried 3-pointers in the second period, which helped turn the two-point edge into an eight-point lead at the midway point. 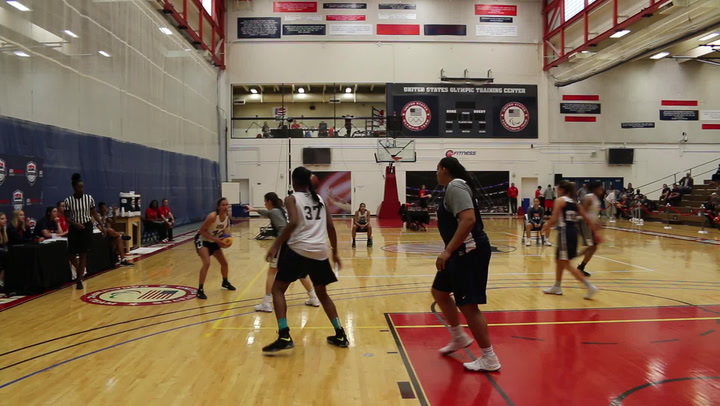 Powers scored the last five points of the half to put the United States on top, 31-23. Canada came out of the locker room with a renewed energy to start the third quarter. It was crashing the offensive glass, and eventually, Canada was able to tie the game at 41 points apiece with a shade under four minutes to go. On the next possession, Powers took the ball to the hole and scored, while getting fouled. She would convert the free throw that gave the USA a 44-41 lead with 13:43 left in the game, and the United States would never trail again. Canada pulled to within a point once with 1:37 to go in the frame, but Courtney Williams (South Florida/Folkston, Ga.) hit a pair of free throws with 54 seconds on the clock to help the USA carry a three-point lead into the fourth quarter. Williams, who came into the game averaging in double figures, was shut out of the scoring column in the first half, but in the third quarter, she scored eight points to help get her team pointed in the right direction. The South Florida Bull added five of the USA’s first nine points in the fourth quarter and the rout was on. The lead eventually ballooned to a game-high 21 points with two minutes to play when Powers converted another three-point play to give the USA a 79-58 advantage. Powers led the team with 27 points, and she finished with nine rebounds. Despite her slow start offensively, Williams ended the game with 15 points, 10 rebounds, two steals and a gold medal around her neck. Powers also led the team in scoring for the tournament with 18 points per game on 51.4 percent shooting from the floor. Russell was the team’s top rebounder with 9.2 caroms per contest, including seven in the gold-medal game. 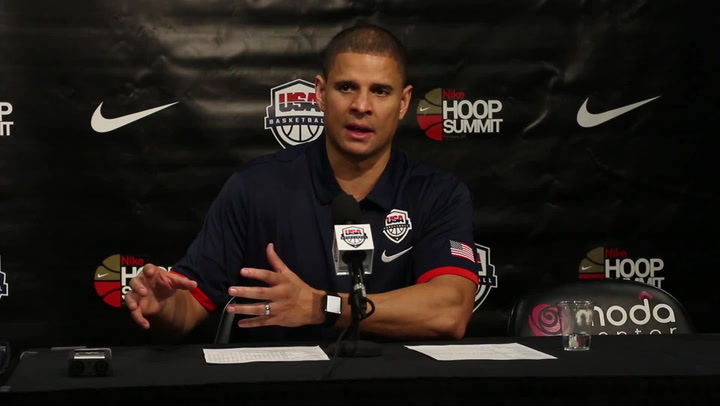 As a team, the USA dominated the opposition on the glass with a rebounding margin of +17.2 in six games. The team had 116 offensive rebounds and 199 defensive rebounds en route to capturing the gold. “We’re 12 individuals who have come together for a couple of weeks to accomplish something so special,” said Russell. “We got to know each other really well, made great connections and came out with a gold medal. 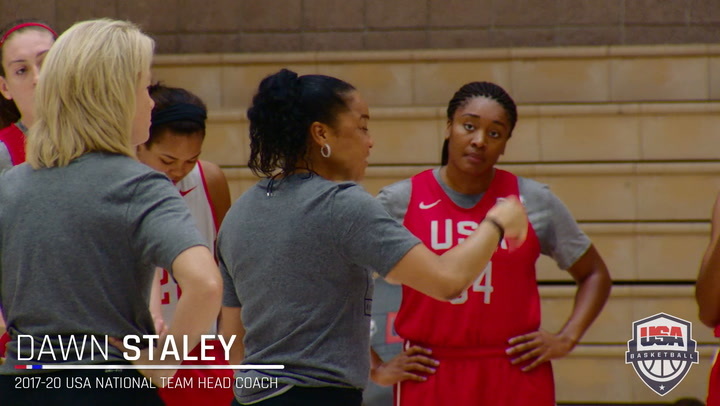 ”The USA is 106-15 all-time at the World University Games with 10 gold medals to its credit, plus six silver medals. 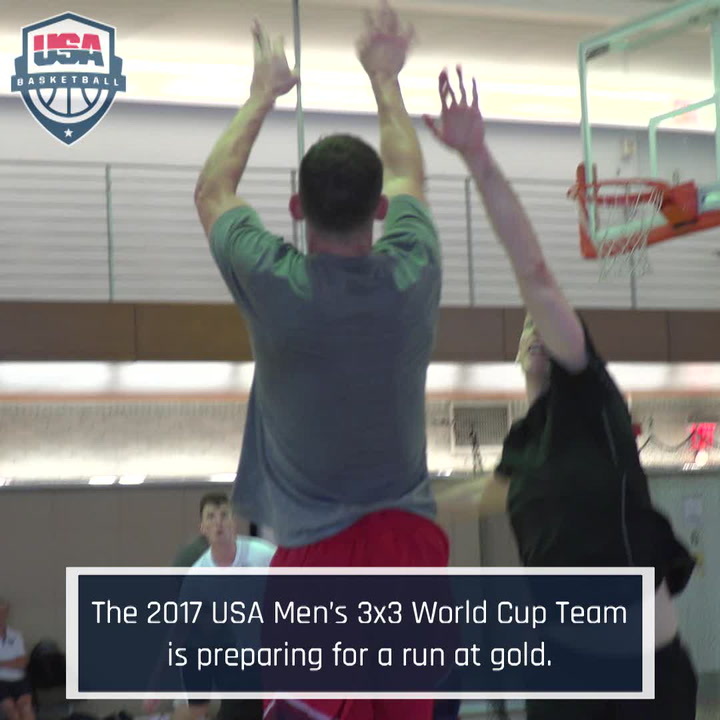 The USA has won gold medals in the past six WUGs in which it has competed (2001, 2005, 2009, 2011, 2013, 2015). 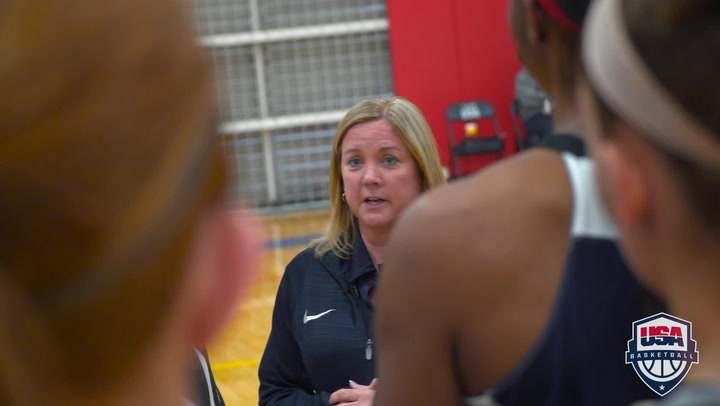 McKeown was assisted by collegiate head coaches Holly Warlick from the University of Tennessee and Tanya Warren from the University of Northern Iowa.